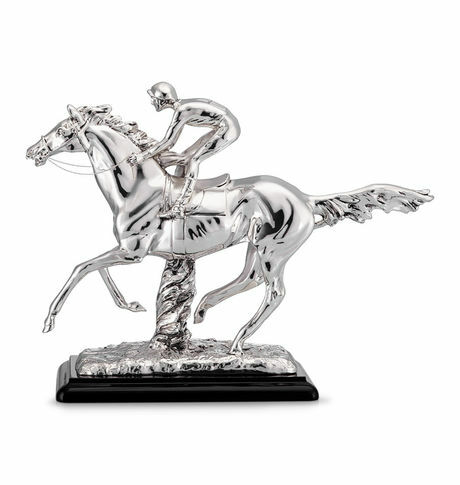 This immaculately crafted Jockey on the Horse in electroformed silver and resin is an ideal home decor item. The magnificent piece can also be a perfect gift. This immaculately crafted Jockey on the Horse in electroformed silver and resin is an ideal home decor item. The magnificent piece can also be a perfect gift. Cancellation and Return Policy: • Exchange allowed post booking • No order cancellation or Refund transaction allowed at the store.